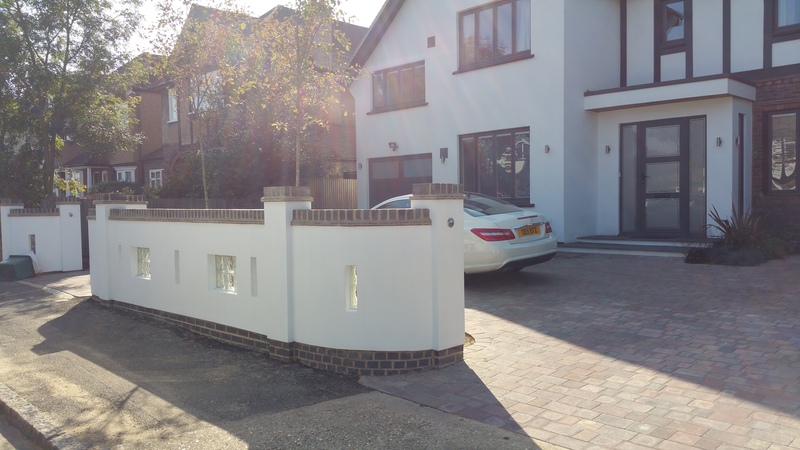 To rebuild the front and rear gardens of a London suburban property. The garden had to include large areas for the children to play in and an area for the adults to enjoy the garden also. The 1950’s house’s gardens were overgrown and in very poor condition. An extension had impacted on existing terraced areas and the front gardens and driveway effectively destroyed by the building work. 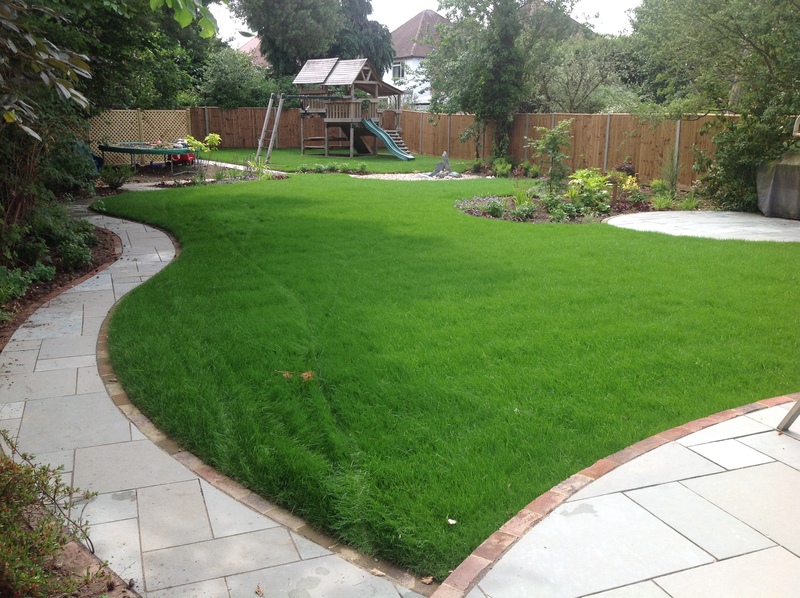 The Client wished the garden to be an extension of the property with soft flowing planting set in wide serpentine style beds. An area was included for both a children’s play area and a maintenance area screened from view by ornate trellis. 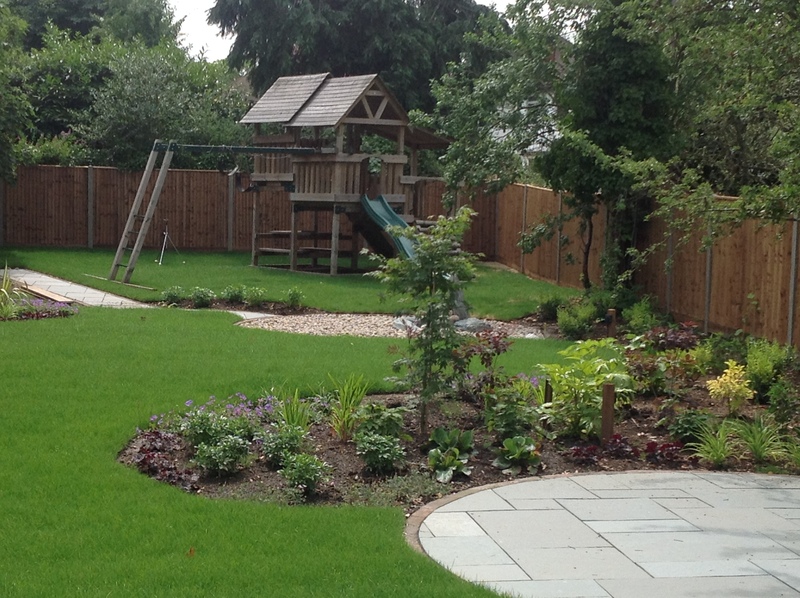 The fencing to the rear garden was replaced, existing trees tidied and shaped and colourful beds planted. A water feature and lighting throughout the garden added additional character. 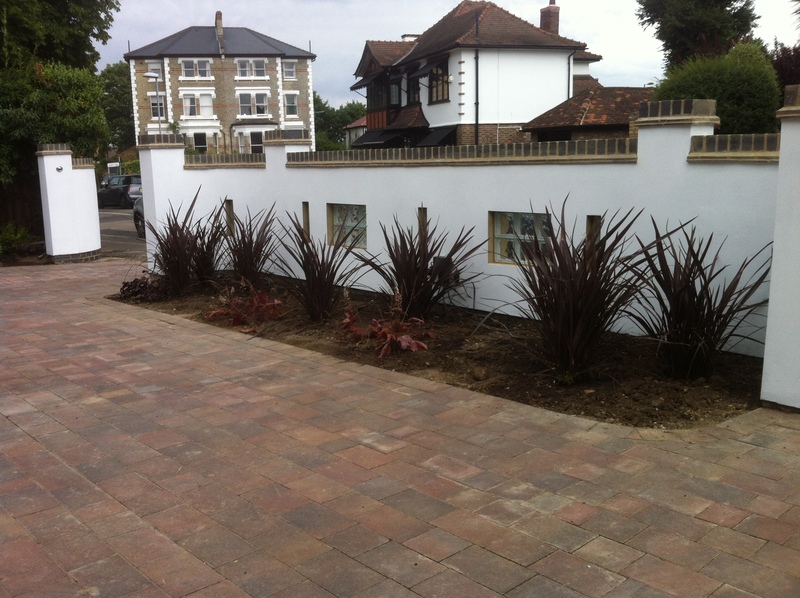 The front garden was mainly laid to a new block paved parking area but with planting to soften its impact on the house. 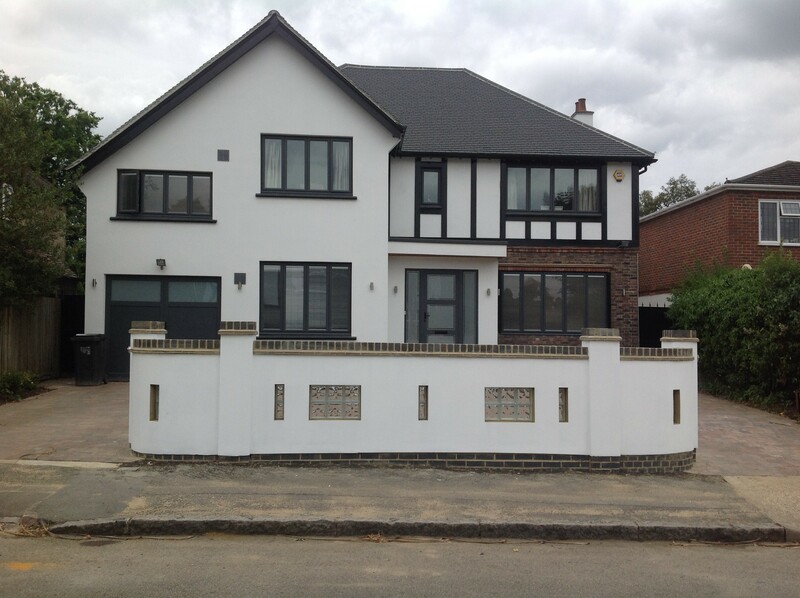 A new boundary wall constructed from rendered concrete and glass bricks was a focal point of the front.